Starbeck in Bloom was formed twenty years ago in response to a spate of vandalism and broken windows which consequently had a very powerful impact for the morale in the community. A small group of people and shop keepers decided to brighten the High Street with colourful planters and organised a Garden competition to get neighbours to talk to each other with the intention of bringing the community together in order to achieve a better, safer Starbeck. 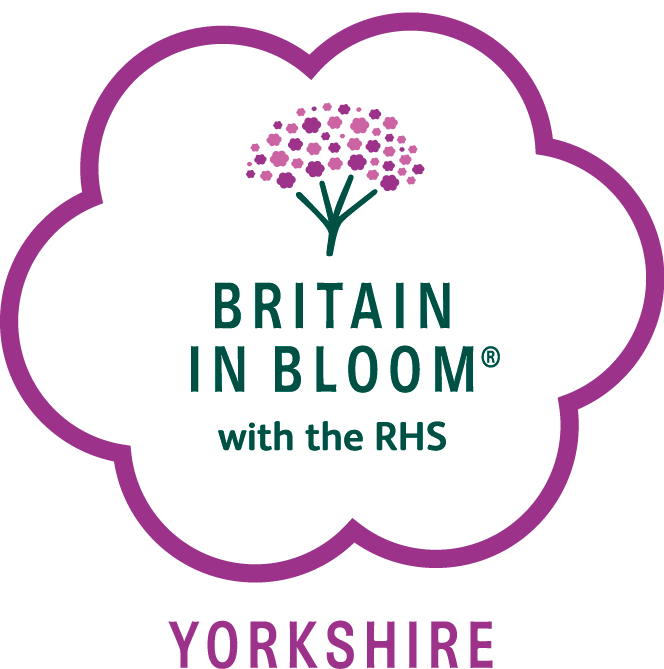 This group would go on to become Starbeck in Bloom and has affiliated itself to Yorkshire in Bloom and RHS Britain in Bloom. We are a completely self-funded and voluntary group and has gone from strength to strength and have even won awards in the regional competition. It is now impossible to think of Starbeck without Starbeck in Bloom. The founder members still play an active role, Christine Stewart and Chris Binks although sadly our longstanding chairman, Elliott Clark and treasurer died recently though we have a Copper beech tree in his memory. The Starbeck community have all pulled together and funding comes from donations to the Sponsor board, the Hanging basket fund, Friends of Starbeck in Bloom subscriptions and grants from Starbeck Community Fund and grants from Awards for All and both Harrogate Borough Council and North Yorkshire County Council for larger projects. "We've had a rolling programme of projects over the last 15 years with more plans for the future." To inspire people to come together to achieve greatness. Sourcing funding opportunities and applying where appropriate. Starbeck is Special was the slogan adopted in 2017 as we were invited to represent Yorkshire in the Urban category of Britain in Bloom. Starbeck is quite a unique place,it considers itself to be a village,indeed several books have been written about our history and we are proud of the old Spa connections and Railway connections. We have the oldest Golf course in the area, the oldest Swimming pool, Tennis club and Bowling green. There are over twenty six groups who meet in Starbeck and frequently come together for celebrations. We are home to four churches, two schools, Springwater a special needs school and Henshaws College for the visually impaired and Handprints a social services Art facility. The Starbeck Library is a vibrant community Library with a lovely garden developed and maintained by Starbeck in Bloom. Last year we held a River of Flowers event decorating the entire High Street with over 6000 yellow flowers made by twenty different groups and this year for the twentieth Anniversary of Starbeck in Bloom the same groups are developing a Straw People trail for July.